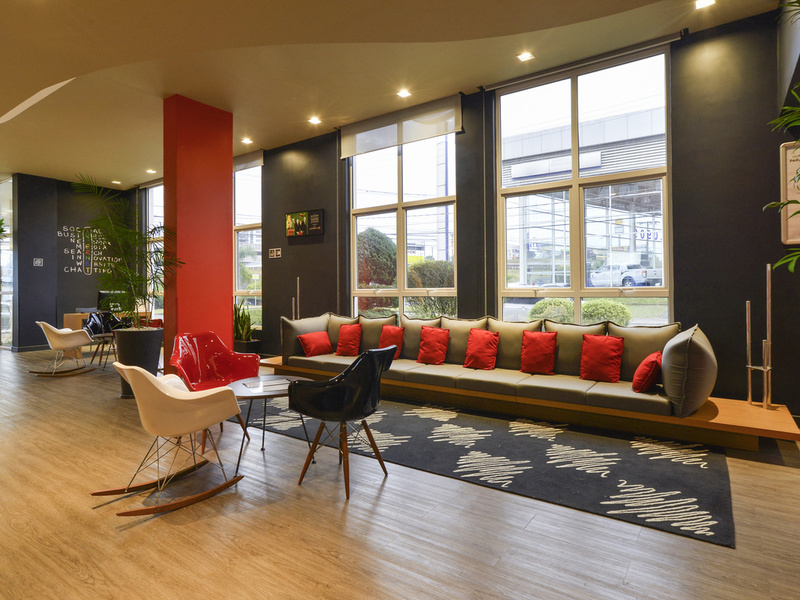 The ibis Caxias do Sul Hotel is located in the area of biggest urban growth in the city, dedicated to tourism, gastronomy and the automotive industry for exportation, just 10 minutes from the regional airport, and opposite the Iguatemi shopping center. It has central air conditioning, free WIFI, 24-hour bar and reception, the ibis Kitchen restaurant for breakfast and dinner, in addition to an events room with capacity for 90 people. Free parking subject to availability. THE BRAZILIAN FESTA DA UVA IS PART OF CAXIAS DO SUL'S HISTORY. THE FESTIVAL FIRST STARTED IN 1931 TO CELEBRATE GRAPE HARVESTING, WINE MAKING, PIETY, HARD WORK AND THE GROWTH AND DEVELOPMENT OF ONE OF BRAZIL'S MOST ENTERPRISING CITIES. Ibis Bar, relaxed atmosphere, excellent drinks, and great for a happy our at the end of the day.